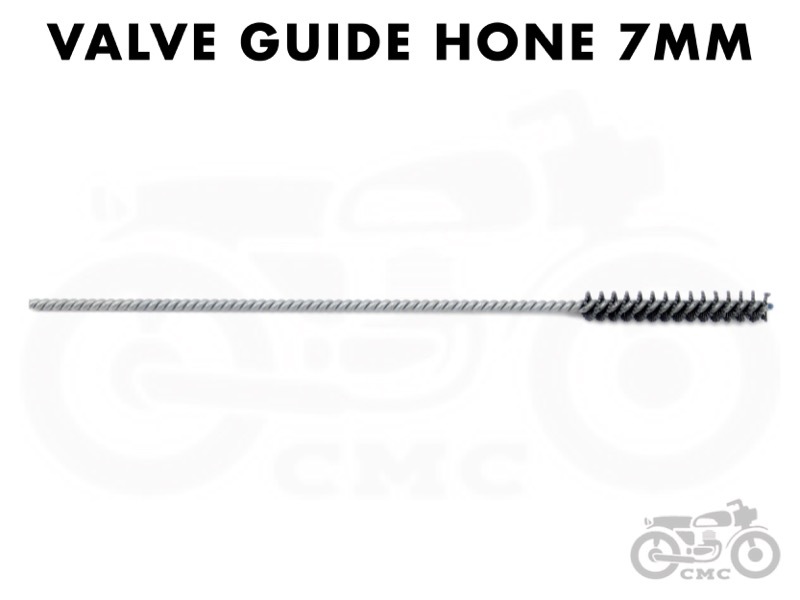 Why You Need This: This valve guide hone is used to slightly enlarge the inner diameter of the 7mm valve guides found on Honda CB350 / CB360 / CB450 cylinder heads. 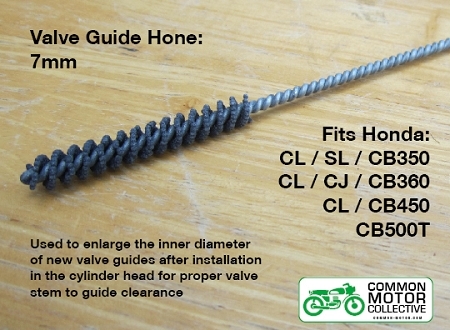 If you have replace the valve guides with our performance bronze guides (see list below) then the final process of preparing the guides for the valves is to hone them to fit the valve stems as the guides are made slightly undersized at the inner diameter with the intention they are honed to fit the valves in your engine. If you are unsure if your valve guides need replacement you will need to pick up our small hole gauge and 0-1" micrometer to measure the wear factor of the guides and valve stems. All the service limits are published service manuals. 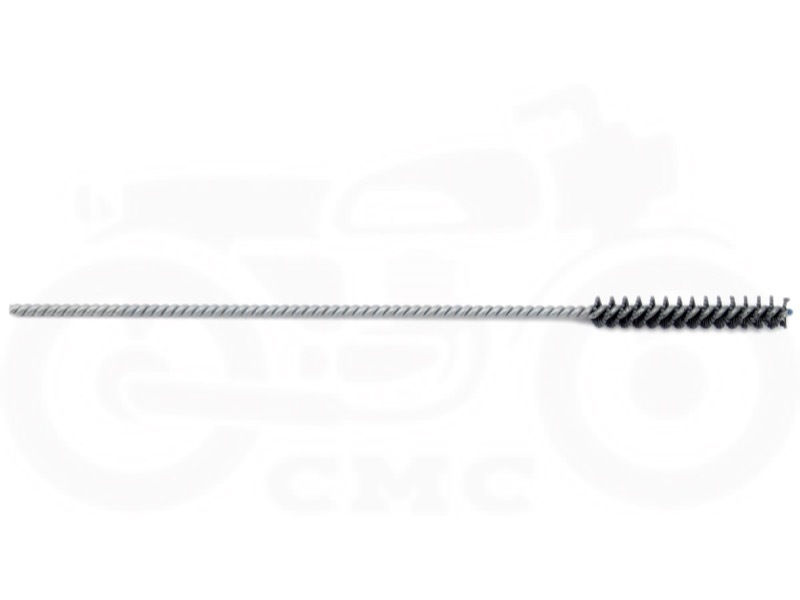 Replacement Honda CB350 / CB360 valves are available, and CB450 valves are available by special order. Installation Tip: This thing makes a mess so wear safety glasses and appropriate clothing. The hone is designed to be used with a power drill. The honing process is done very quickly, faster than most think, drill speed should be about 800 RPM or less. Total time for each guide should be about 10 seconds initially. Each pass in a single direction should be about 1/2 second with about 1/3 of the hone protruding out either end of the guide on each pass. The last 2 seconds of the hone process should have the stroke speed increased. Remove the hone, wipe the guide clean and check to see if the valve fits in the guide. If so then stop, if not repeat the process in 5 second intervals until you find the place where the valve just drops in the guide. Make sure to wipe the guide and head clean from any debris made during the honing process. It is best to be conservative in the honing process as not to enlarge the guide beyond service limits. Never stop the hone inside the guide; always start and remove while the hone is spinning.